Dr. Bradley Matthew, DDS, MICOI, and the team at South Bay Smiles deliver the highest level of patient comfort and care. We provide cosmetic dental services including porcelain crowns and veneers, bridges, InvisAlign, BriteSmile teeth whitening, and pediatric dentistry. Deanna is an experienced Registered Dental Hygienist, treating patients in the South Bay, Westchester, and West LA communities for over 18 years. She graduated from West LA Dental Hygiene School in 1994. She is committed to continuing her dental education so that she can always utilize the latest techniques to make your dental hygiene treatment as comfortable as possible. Her mission is to create a relationship based on trust and care with each patient. Deanna loves to lead an active lifestyle and enjoys scuba diving, skiing, and sailing. 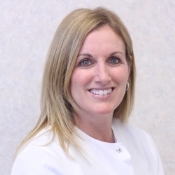 Glenda is the Practice Manager, as well as the Finance & Treatment Plan Coordinator at South Bay Smiles. Glenda has also been registered as a Dental Assistant since 1995. To ensure she is providing the patients of South Bay Smiles the best services possible, she attends multiple courses to further her skills and stay on top of the latest advances in dental care. In her spare time, she loves to travel and enjoys spending time with her family and friends. 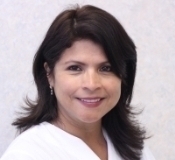 Lorena has been practicing as a Registered Dental Assistant since 1996. Lorena attended the Venice Skills Center where she received her certification in 1996. 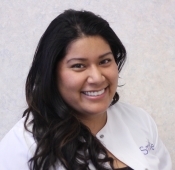 Lorena believes it is important to help her patients feel relaxed while at South Bay Smiles. Many patients feel at ease with Lorena because of her compassion and sense of humor. Outside of the office, she enjoys hiking with her husband and three children. 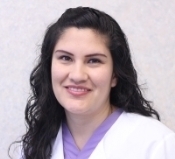 Dina has been working with Dr. Matthew, DDS, MICOI, as a Registered Dental Assistant for 8 years. She graduated from Venice Skills Center for Dental Assisting in 2004. She began working with Dr. Matthew right after she graduated, and together they offer patients a very harmonious and relaxing environment. Dina spends her free time with her fiancé, Chris, as well as helping manage her family's restaurant, Tlapazola Grill. When it comes to your smile and dental health, we strive to provide you with the most advanced techniques and technologies to create the best dental experience possible. If you are looking for a cosmetic dentist who cares for his patients and is dedicated to creating winning smiles, you have come to the right place. Los Angeles cosmetic dentist Dr. Bradley Matthew, DDS, MICOI, offers excellent cosmetic dental services to patients throughout Los Angeles, Marina del Rey, Culver City, Santa Monica, Manhattan Beach, Hawthorne, Ladera Heights, Westchester, Playa Del Rey, Venice, El Segundo, Redondo Beach, Inglewood, and Hermosa Beach. Contact Westchester cosmetic dentist Dr. Bradley Matthew, DDS, MICOI today! For over 17 years Dr. Matthews has been dedicated to providing his patients with innovative, high-quality dental care. Don't wait during urgent matters. We offer our patients same-day visits for dental emergencies.